In the Upper Midwest, winter doesn’t come easy. For as long as homeowners have cultivated lawns in the region, there have been tricks they’ve used to help their lawns withstand the brutal cold. Grass goes into dormancy in late fall, and while it requires fewer nutrients in this state, it is still susceptible to damage, disease, and even death. There are precautions you can take now to lower the risk of lawn problems during the blizzards and cold snaps of winter. Lawn care has no off-season, and when you protect your grass during the winter, you’re sure to reap the benefits when it comes to life again in the spring. The name leaves is misleading, because you shouldn’t just leave them on your lawn during the winter months. 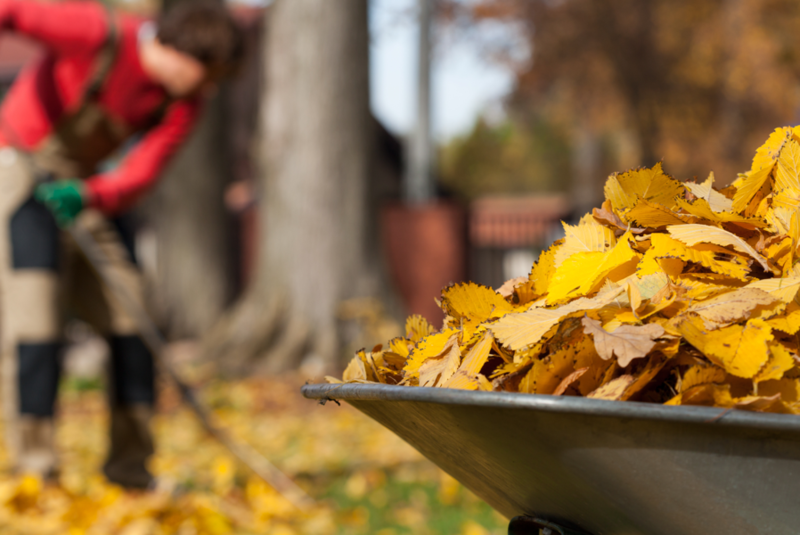 Take an afternoon to rake any leaves that have fallen on your grass, because they create a blanket that blocks sunlight. When temperatures drop, this extra layer creates an ideal environment for moss and lichens to grow. Needless to say, you don’t want these on your lawn. Even worse, the leaves create a warm layer below the snow, which can lead to snow mold. Snow mold is a fungal disease that’s difficult to eliminate, so prevent it before it starts. Alternatively, you can mulch the leaves, which causes them to decompose and become fertilizer. Although temperatures are falling, your grass is still growing. It is essential to keep the length of your grass under three inches during the fall and winter. When the grass is any taller than this height, it can mat down in the winter. This will lead to problems such as snow mold, and plenty of headaches in the spring. While tall grass causes problems, cutting too short can as well – mowing any shorter than two inches prevents the grass from storing essential nutrients over the winter. With that said, it’s important to be diligent with your lawn until the growth begins to slow down. This tip has more of an indirect benefit for your grass. 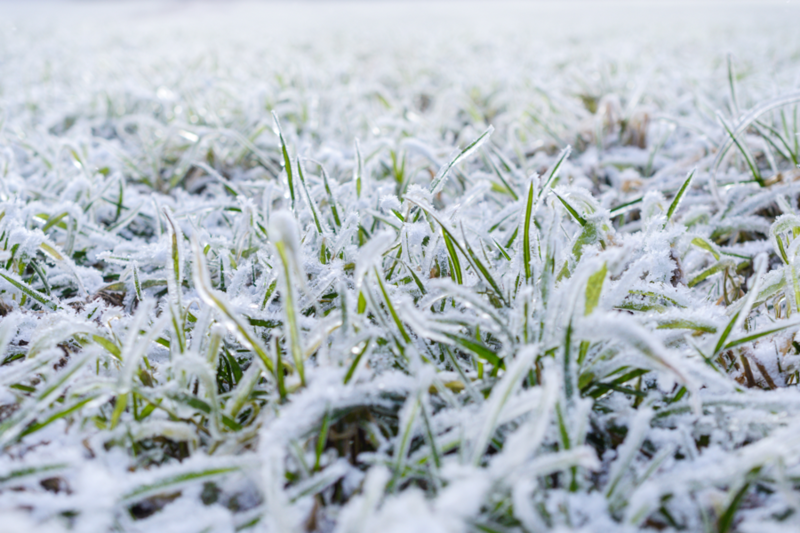 When temperatures plummet, your irrigation system is at risk of breaking down. 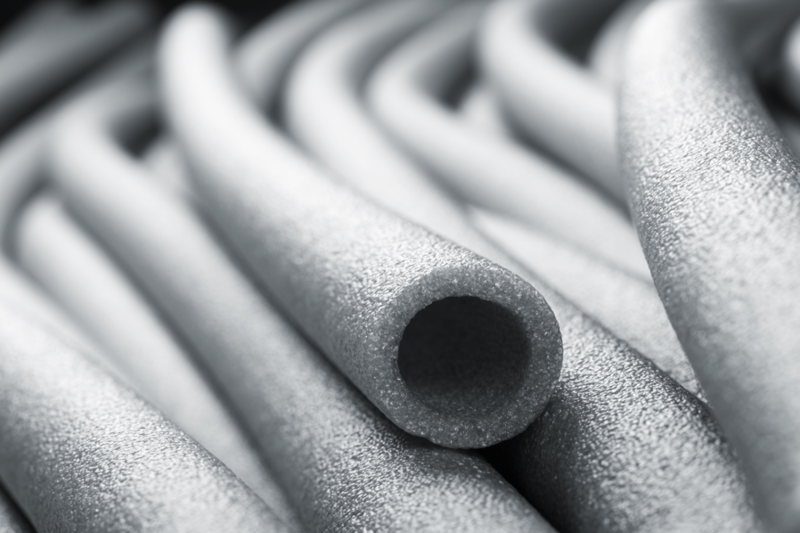 Water pipes are especially susceptible to damage, because the ground around them can freeze in the brutal cold. Be sure to turn off the water supply to the sprinkler system and insulate the main shutoff valve. If you have an above ground sprinkler system, insulate all of the exposed piping. You can find insulating tape and pipes at most home improvement stores. Drain the pipes with the automatic or manual drain valve – if you don’t have one, contact an expert to use compressed air to empty the pipes. It’s might be tempting to jump into a pile of the fluffy white stuff, but you risk damaging the grass by doing so. In fact, just walking on top of the snow in your yard can cause problems. Think about how heavy snow feels when you need to shovel it – all of the that weight presses down on your grass throughout the winter, so it can’t handle much more added pressure. Excessive weight compacts the soil and makes it difficult for roots to spread out when the soil softens in the spring. If you always use your yard as a shortcut to the car, there’s a chance that the grass will grow brown where you walked next year. It’s not worth saving a few seconds each day. Winter is a time for lawn aficionados to take a break from extensive maintenance and begin thinking about the upcoming growing season. Your lawn will survive extreme weather if you take certain precautions, so be sure that you’re setting yourself up for a manageable spring thaw. Nobody wants to deal with problems like snow mold, dead grass, or broken equipment after a long winter – so don’t wait until Christmas to take advantage of preventative measures. Another responsibility to consider is lawn care equipment storage. Read our blog post, “Garage Organization Ideas for Lawn Care Tools” to get the most out of your storage this winter.